Chef Alvin Leung aka “The Demon Chef” is known across the culinary scene in Canada and around the world. But it wasn’t how his career began. Fun fact, Leung made the decision to switch his career from engineer to chef at the age of 42 and made a life changing decision to follow his passion and it’s paid off. His restaurant Bo Innovation in Hong Kong was awarded a three Michelin star rating and he now has multiple restaurants around the world including R&D in Toronto’s Chinatown. Leung, with his fiery personality, is also known as one of the judges on MasterChef Canada. So, after learning about his history, it comes as no surprise that Leung isn’t afraid of living life to its fullest. He’s teamed up with Abbott, a global health care company and makers of FreeStyle Libre, to show diabetics that the culinary world can still be exciting despite the challenges. Chef Leung recently hosted a culinary experience at Toronto’s St. Lawrence Market Kitchen studio. Speaking through his experience, the famed chef pulled away the tough persona and revealed the realities of living everyday with diabetes. Yes, difficult for the everyday person but imagine one being a chef? 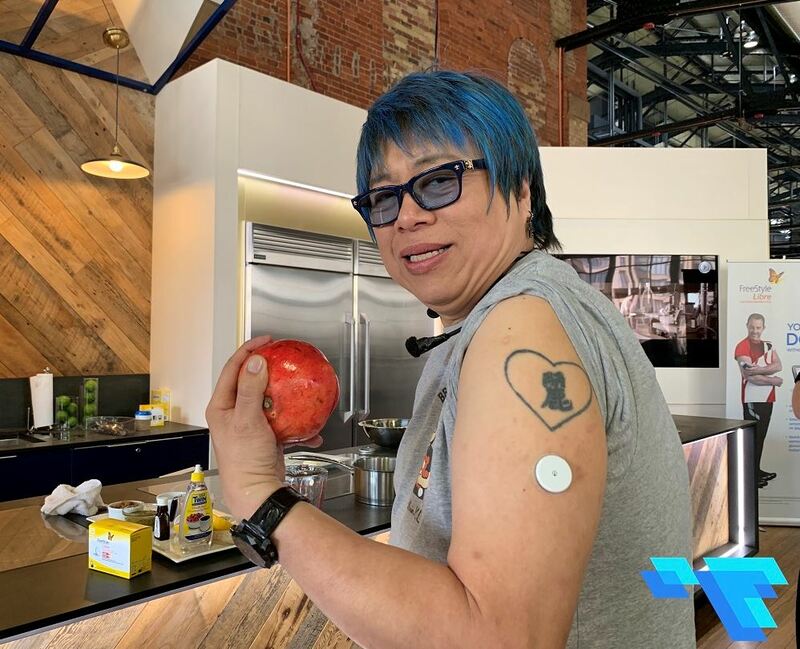 The food and lifestyle writers in attendance were very curious as he spent a few hours not only through a hands-on cooking session but explaining how the FreeStyle Libre device has made life a lot easier. On a side note, Chef Leung jokingly mentioned that he’s not your typical chef covered in tattoos for the sheer reasons of hating needles. The FreeStyle Libre came into the Canadian market in 2018 and is now gaining the attention of diabetics as a more user friendly way of glucose monitoring. In a survey conducted by Abbott, respondents shared that if they could change anything about the way they manage the disease, 77 per cent said they would want something that doesn’t involve daily finger pricks. 62 per cent also wanted something that provided continuous readings, and 49 per cent would use something more discreet. The device is now available in 46 countries worldwide. How it works? The kit comes with two water resistant sensors and a monitor. The sensor patch is adhered to the skin on the upper arm. It can stay there for up to 14 days. The sensor automatically stores glucose readings day and night. With the compact hand-held monitor, a close tap to the sensor offers the reading instantly without the prick of a finger. Should you forget to take the monitor with you on the go, or prefer using your phone, the FreeStyle LibreLink App (iOS 11 or higher) is a convenient way to monitor levels on-the-go, offering personal reports and access to glucose insights including daily patterns, trends, history and the ability to track food, insulin use, exercise and more. WiFi is not needed to scan the sensor. There’s also the ability to share the information with healthcare providers. 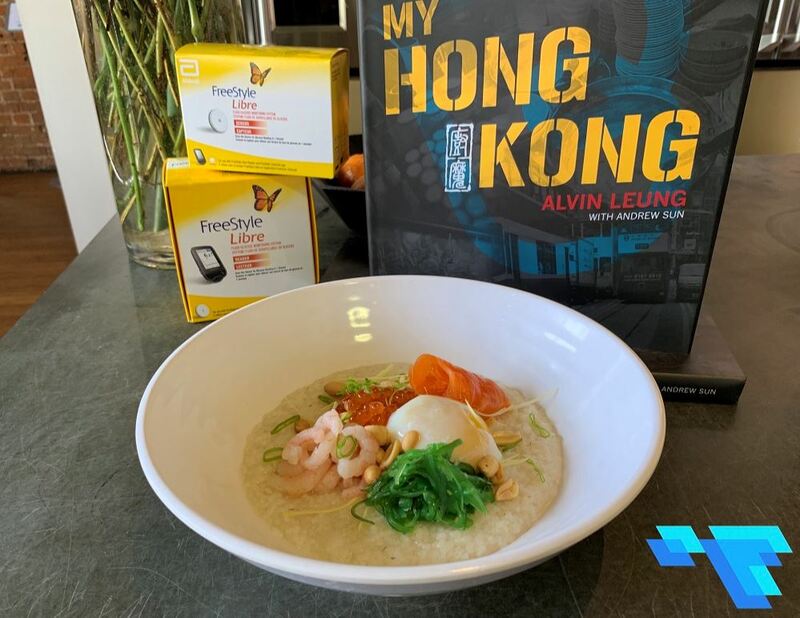 Chef Leung explains that this device has made self-management a lot easier and will now monitor more frequently which, overall, leads to better lifestyle and eating choices. If you monitor as often as I do, you can really see how your body reacts to different foods. Sonya is an established lifestyle writer based in Toronto with a strong interest in how technology is incorporated into the everyday. She’s passionate about the story behind the scenes and will also report on special events and launches. Her passions include family, arts, food, and travel. Sonya also contributes to several media outlets nationally.